Abstract. We present a new Monte Carlo technique, Sub-Loop Inverse Kinematics Monte Carlo (SLIKMC), for sampling configurations of a kinematic chain according to a specified probability density while accounting for loop closure constraints. A key contribution is a method for sampling subloops in unbiased fashion using analytical inverse kinematics techniques. Sub-loops are then iterated across the chain to produce samples for the entire chain. The method is demonstrated to scale well to high-dimensional chains (>200DOFs) and is applied to flexible 2D chains, protein molecules, and robots with multiple closed-chains. 17 samples of 1B8C chain A (108 residues) selected from 170 consecutive samples with skip length 10. Each conformation is drawn in a distinct color. Fluctuations of a 2D chain with a closed ring constrained on the three ends (open circles). Left: initial conformation. The angular prior for each link is modeled as a normal distribution with 20 degree standard deviation. Right: 20 samples with skip length 100. 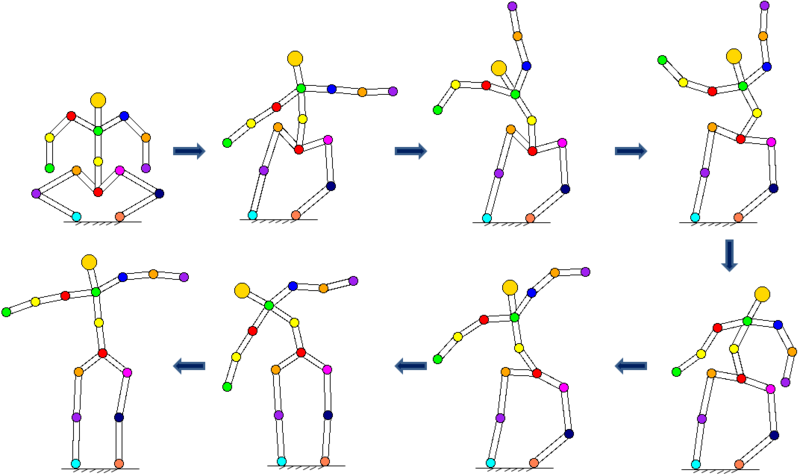 A sampling sequence for a planar humanoid robot constrained at the feet, with hard joint limit, collision, and stability constraints and a prior whose mode is a standing-up configuration. Every 500th sample is drawn. 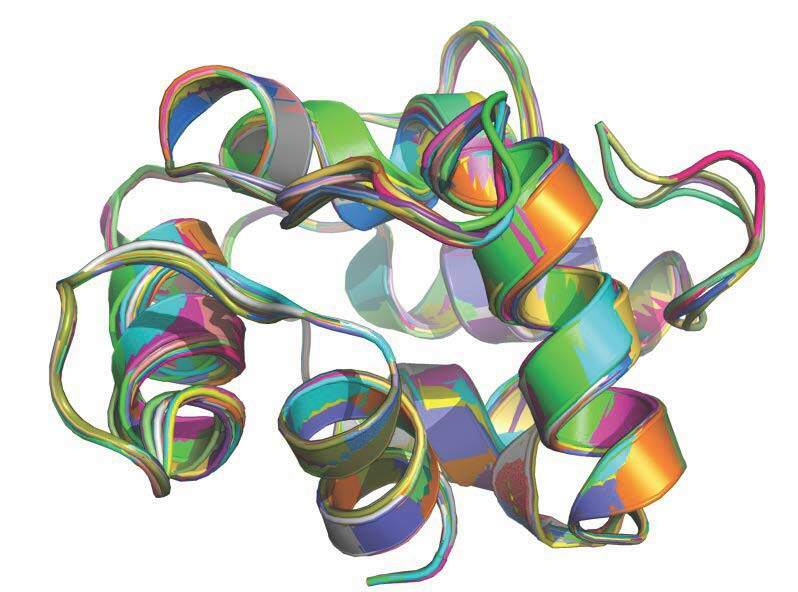 Starting from a highly perturbed conformation, SLIKMC recovers a helix using only clash and Ramachandran plots information. Every 20 samples are drawn.